Steve Driscoll Art - Ropes and Ladders 8.5" x 11"
Steve is a self taught artist from Eastern Ontario, Canada. Working mainly from photographs, his illustrations are created with accuracy and detail using pencil as a medium. He started his career as a power line maintainer in 1983. 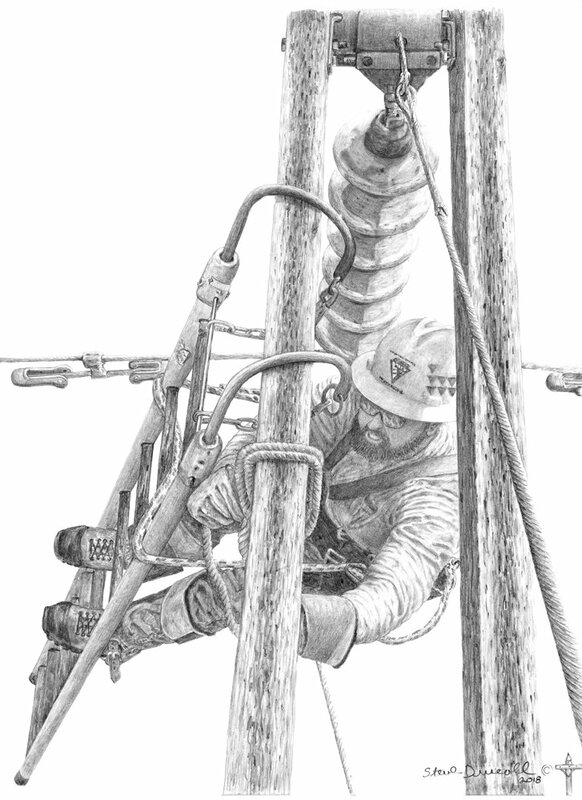 The combination of his artistic style and experience gained in the line trade, has resulted in a power worker series of prints. These prints have been sold throughout North America since 1987. " I wanted to produce something, that conveys the pride and skill we have in maintaining the supply of power". This artwork is a result of that desire. 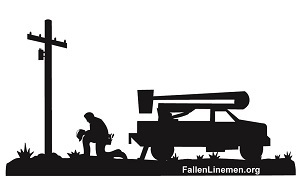 These prints make wonderful gifts for retirements, employee recognition, years of service and for family friends working in the power line trade. A perfect Fathers Day gift idea also. Other drawing interests include, wildlife, mechanical themes and scenery. All prints are produced using top quality inks and acid free paper.